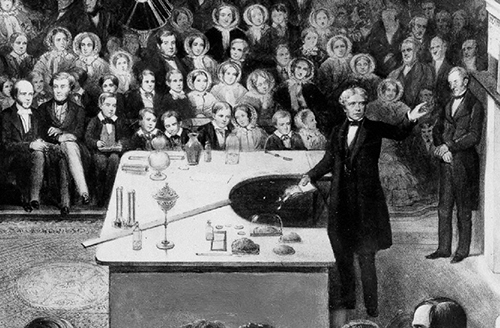 English scientist Michael Faraday initiated The Royal Institution Christmas Lectures in 1825. These lectures which have been held at the Royal Institution in London each year since 1825, with the exception of 1939-1942 are an entertaining and informative presentation of scientific subjects. In 1848, Faraday conducted a series of lectures titles The Chemical History of a Candle (read on-line here). Faraday conducted a series of demonstrations during this lecture series that are still used by fire behavior instructors today. As Christmas approaches, I spent some time reading The Chemical History of a Candle and thinking about how we develop Firefighters understanding of fire behavior. Poking about on YouTube, I came across a more recent Christmas lecture at the Royal Institution in which Ian Russell examined Faraday’s lecture on The Chemical History of a Candle and the creative tension between explanation and exploration in hands on science. I suspect that we spend far too much effort on explanation and too little on exploration. 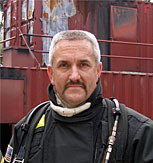 Developing Firefighters knowledge of fire behavior and their curiosity about the underlying science might be better served with a larger dose of exploration… If you teach fire behavior, take an hour and watch Ian Russell’s lecture. Thanks to Ian Bolton for reminding me of another great resource on the topic: Understanding Fire Through the Candle Experiments on the International Association of Arson Investigators CFITrainer.net website (which also has other excellent fire dynamics resources).